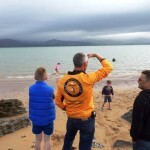 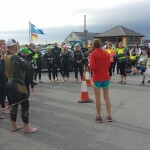 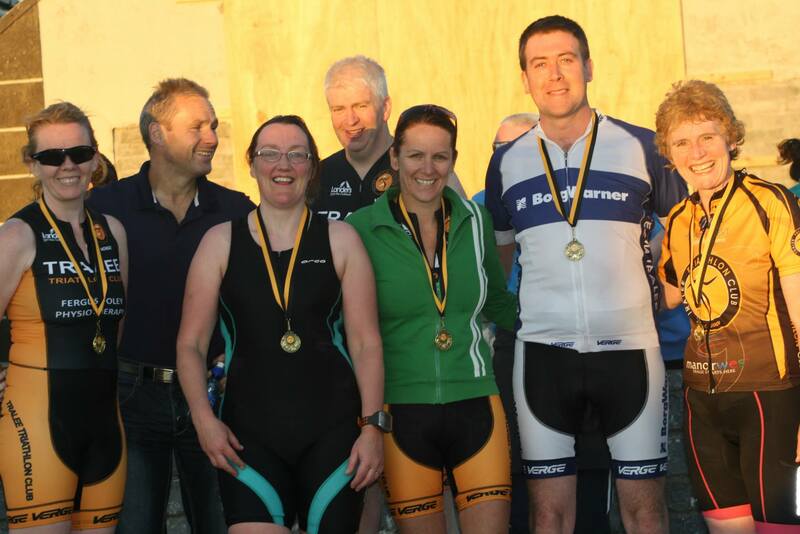 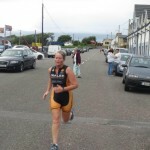 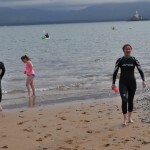 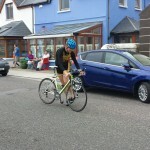 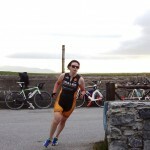 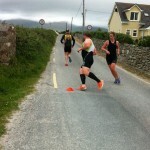 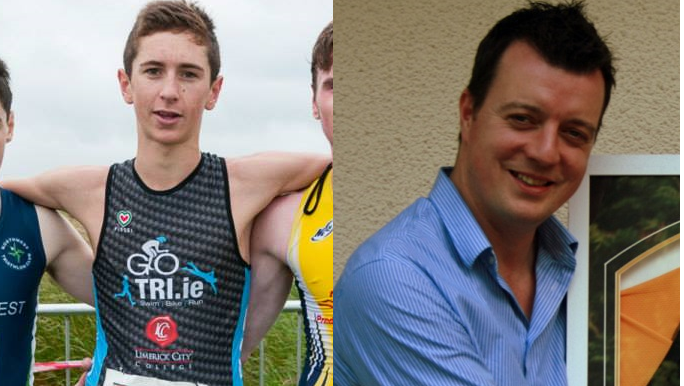 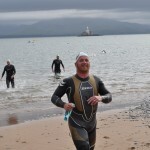 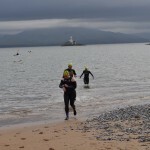 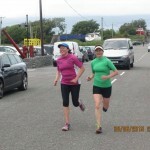 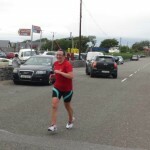 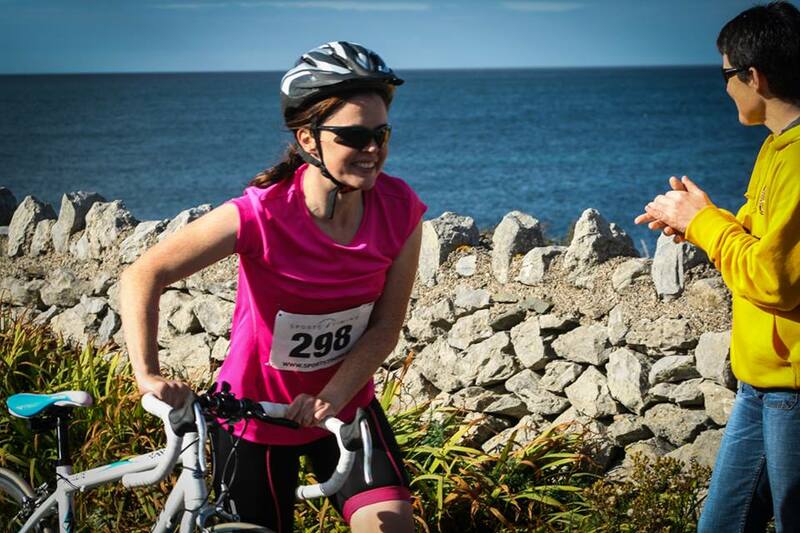 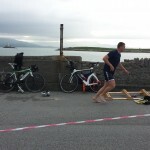 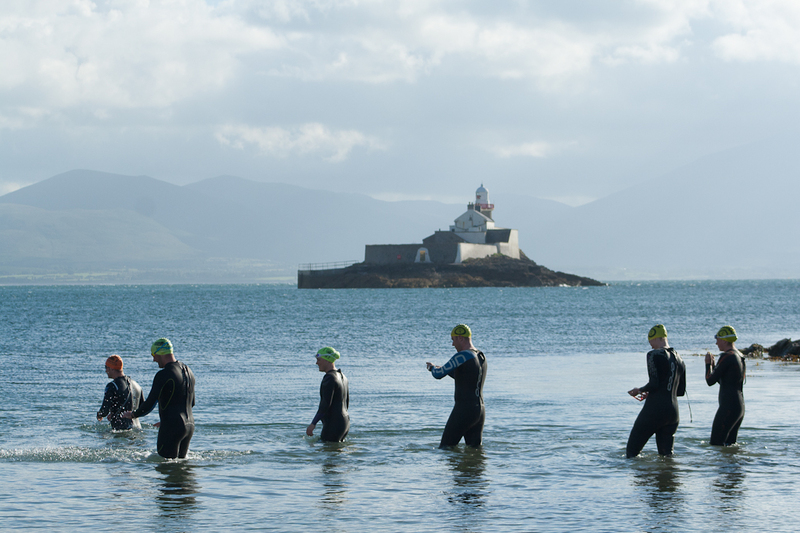 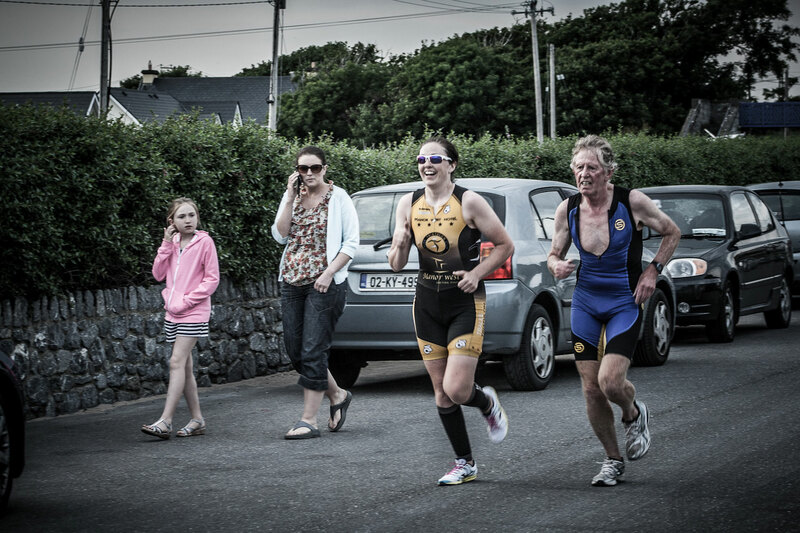 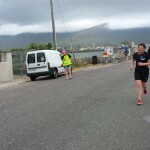 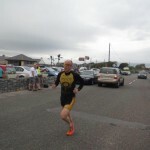 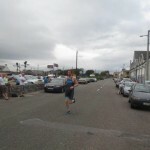 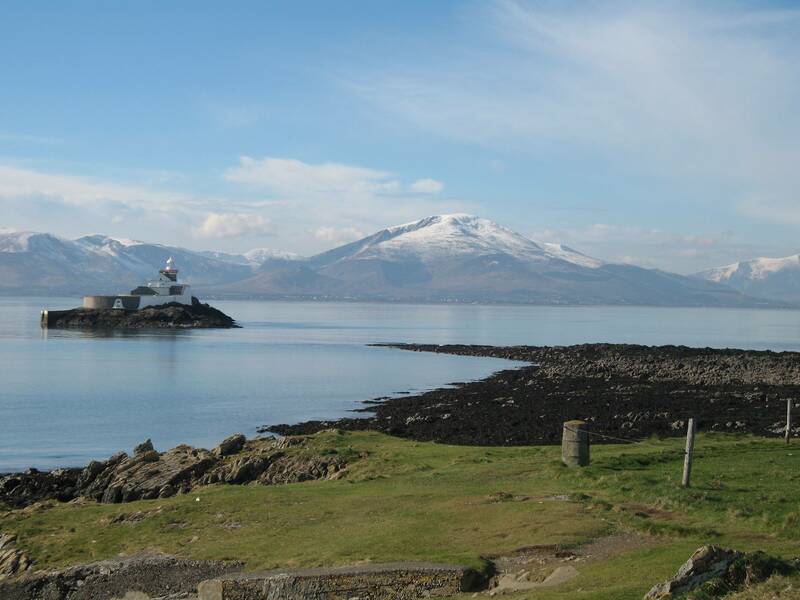 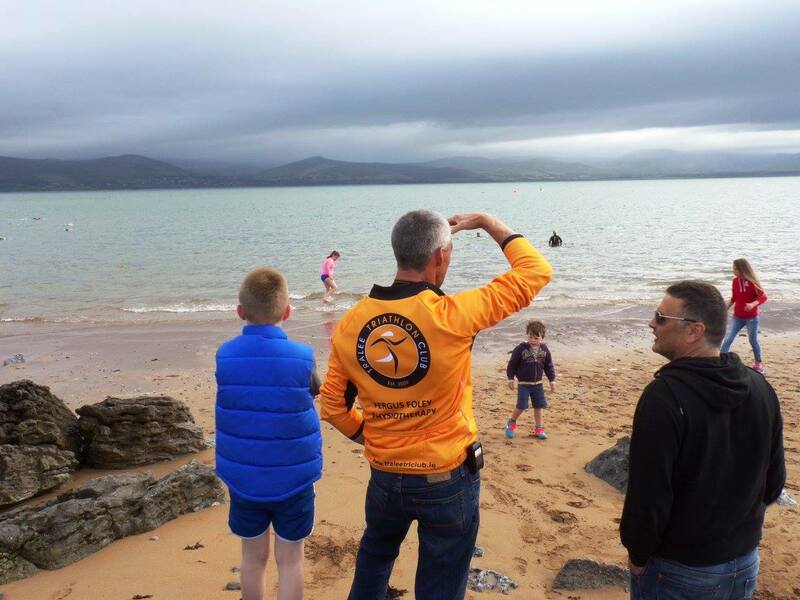 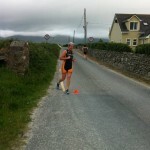 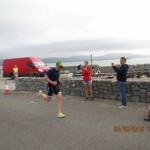 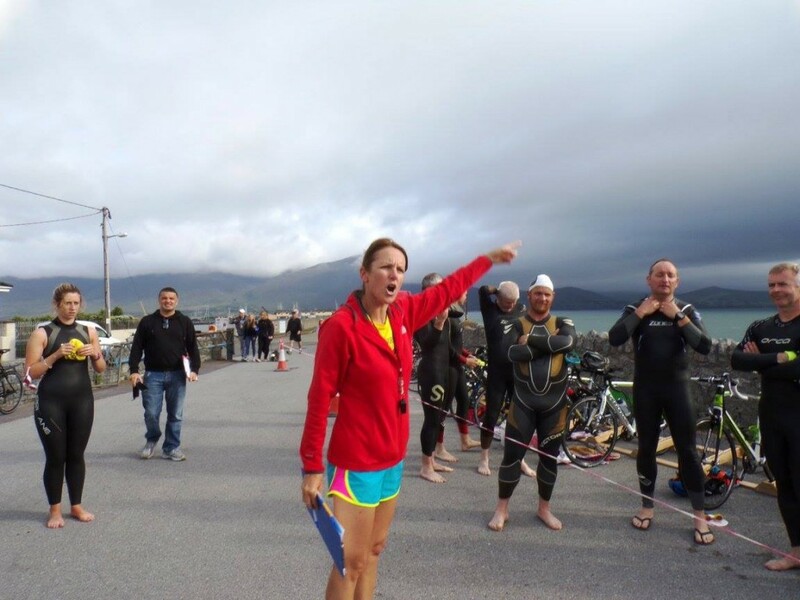 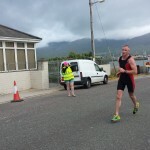 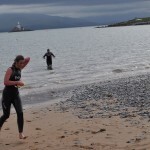 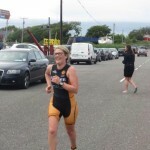 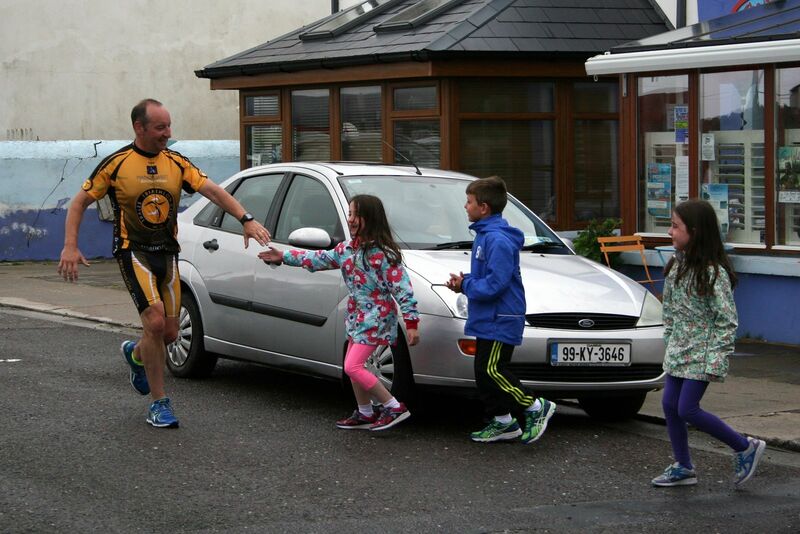 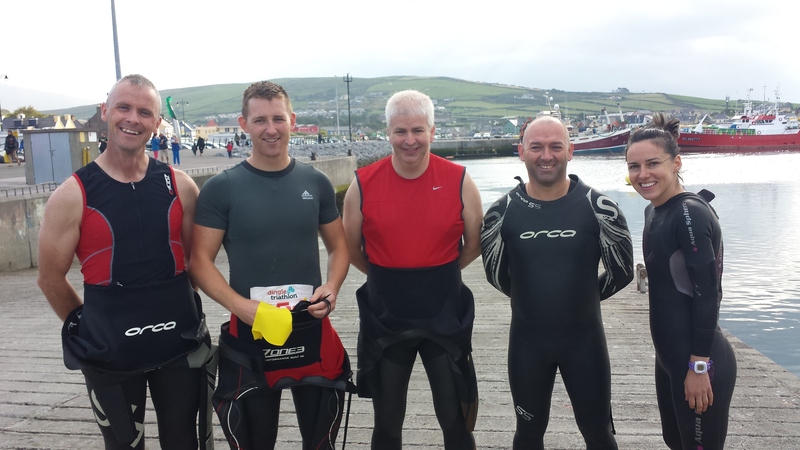 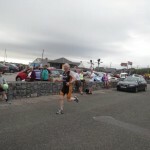 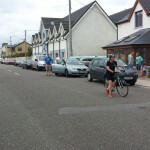 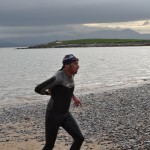 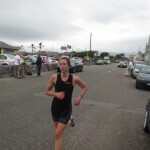 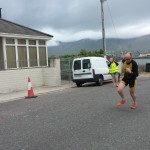 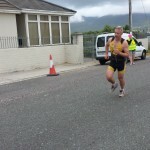 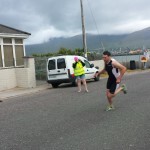 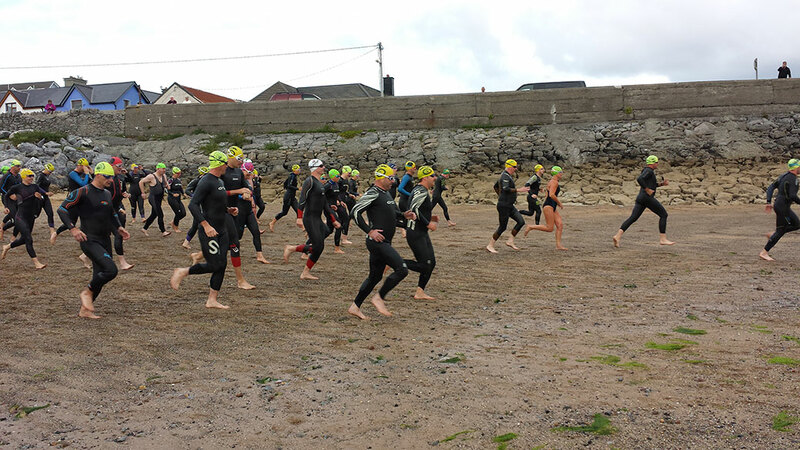 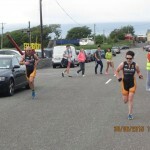 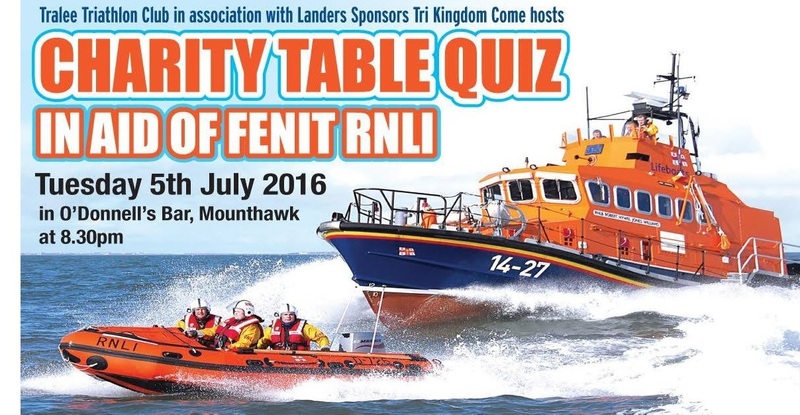 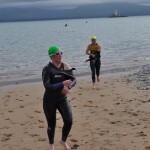 There was plenty of new faces at the second in the series of mini triathlons taking place in Fenit this summer. 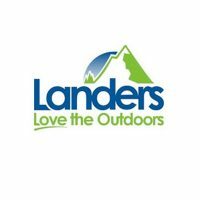 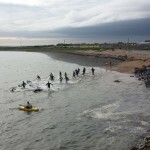 They are the ideal way to practise the three sports and most importantly they are a fun way to pass a summer’s evening. 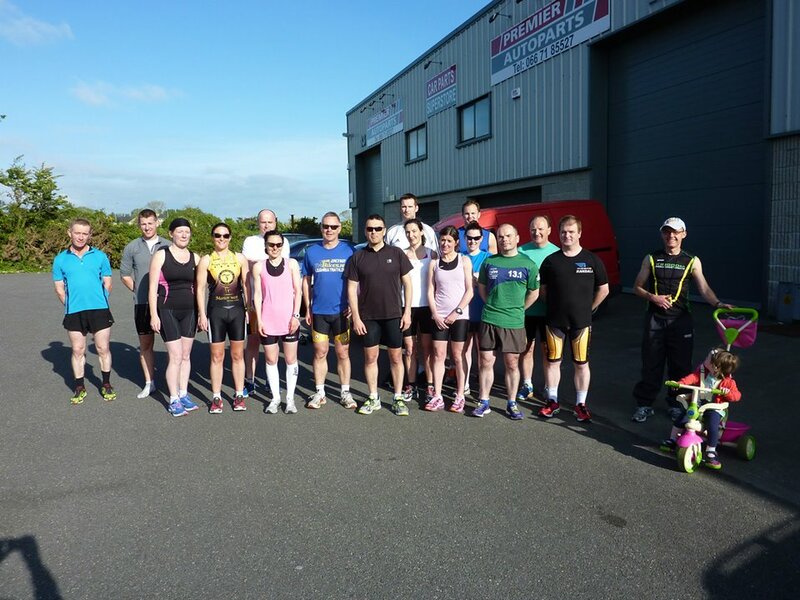 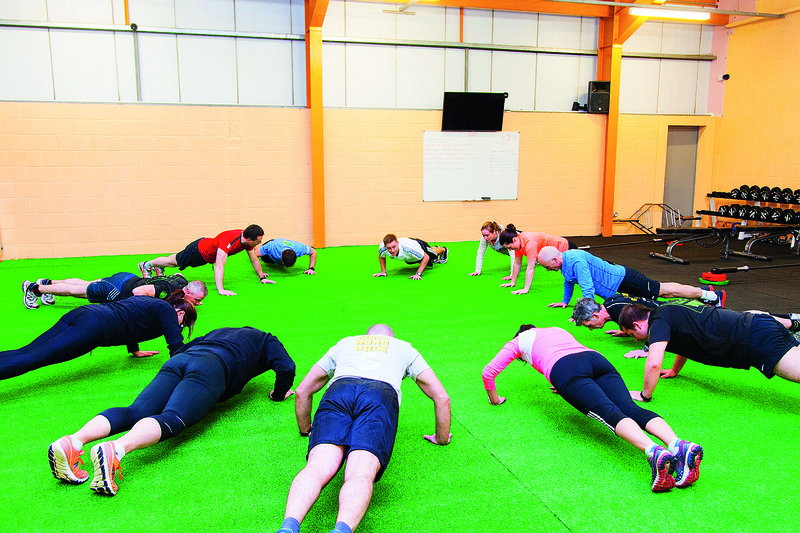 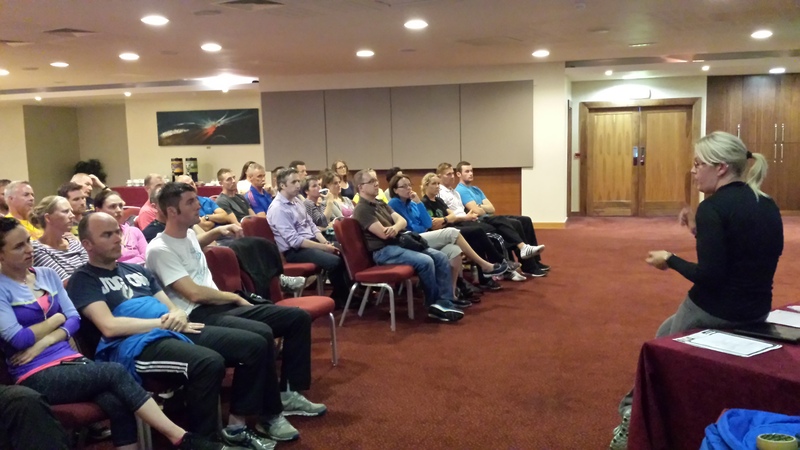 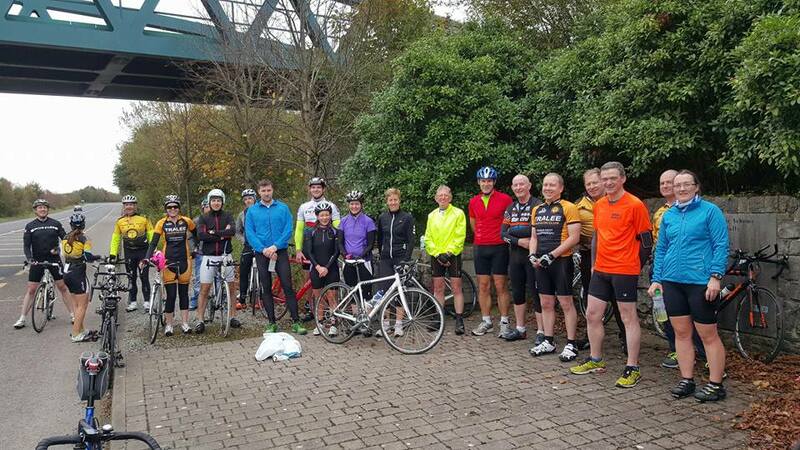 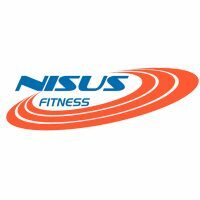 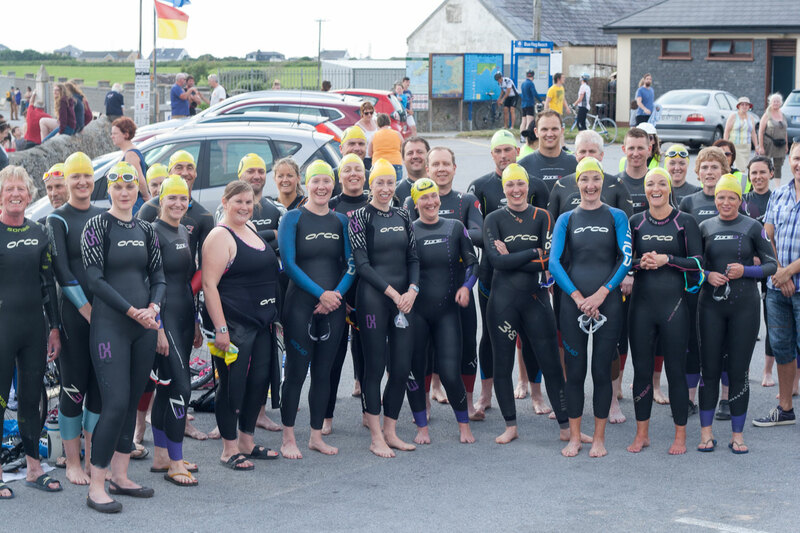 24 club members set up on Transition on Tuesday evening – some again attempting their first ever triathlon event and others hoping that this practice session will get them faster and fitter this summer. 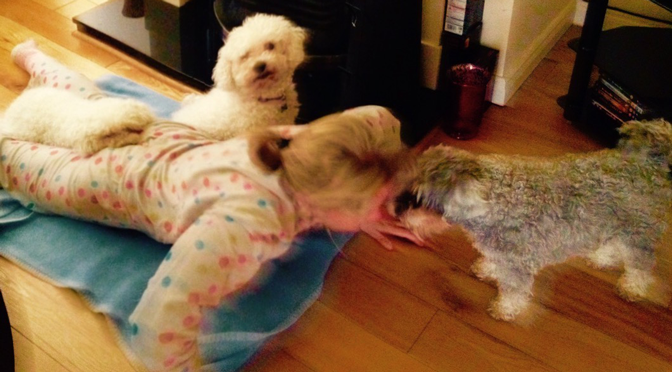 Bridget – Laying down the Law! 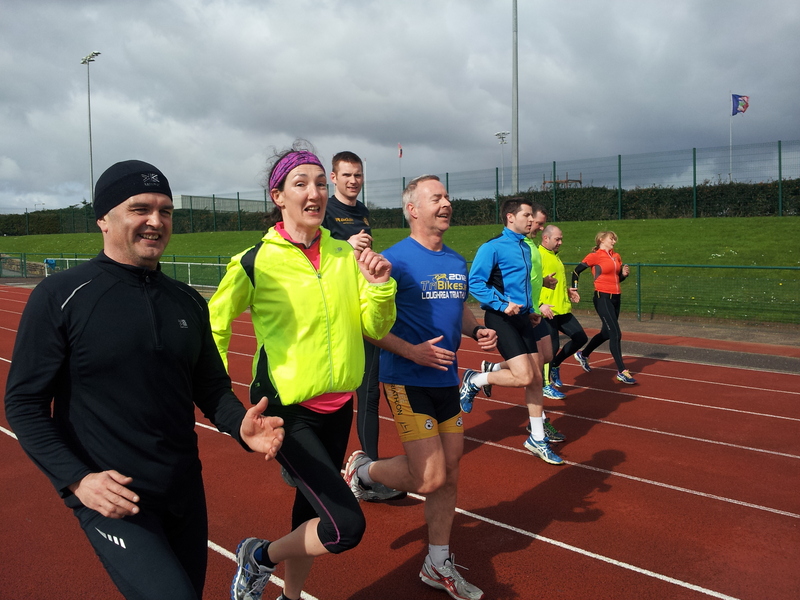 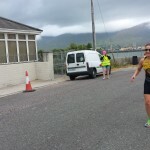 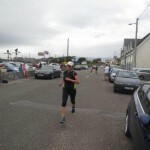 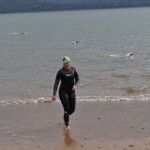 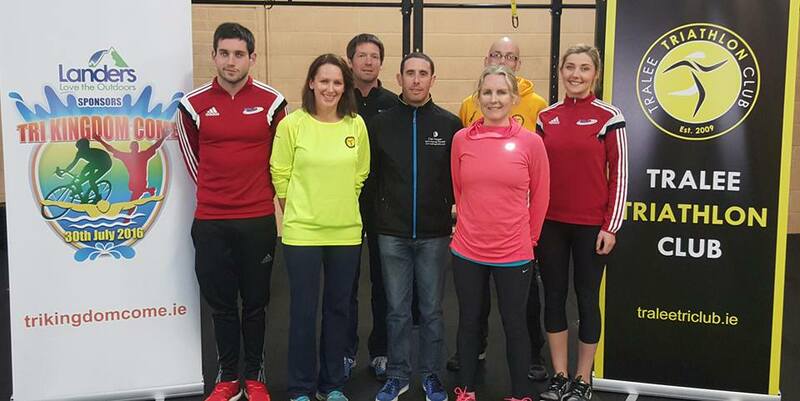 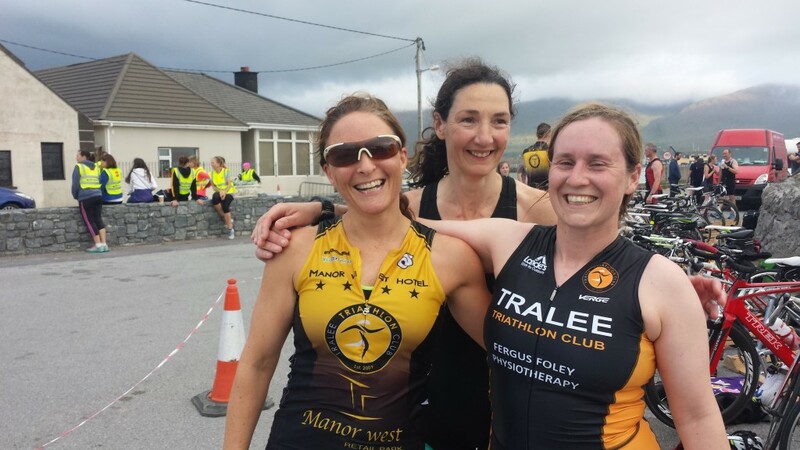 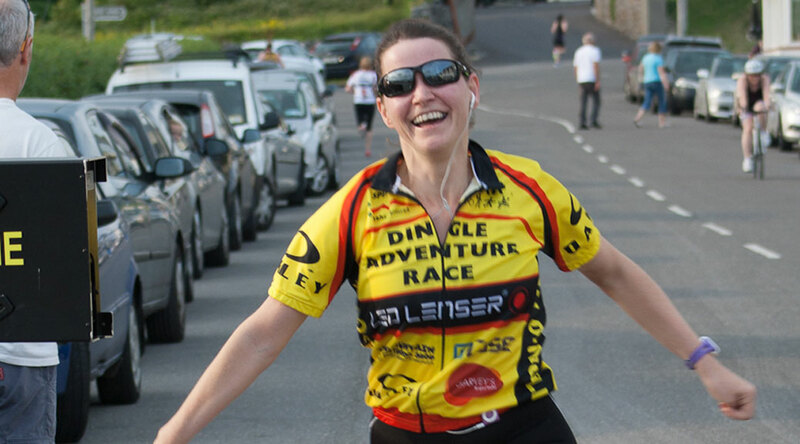 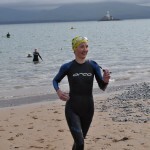 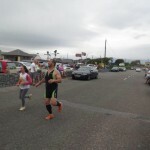 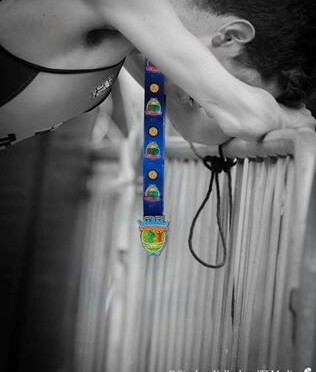 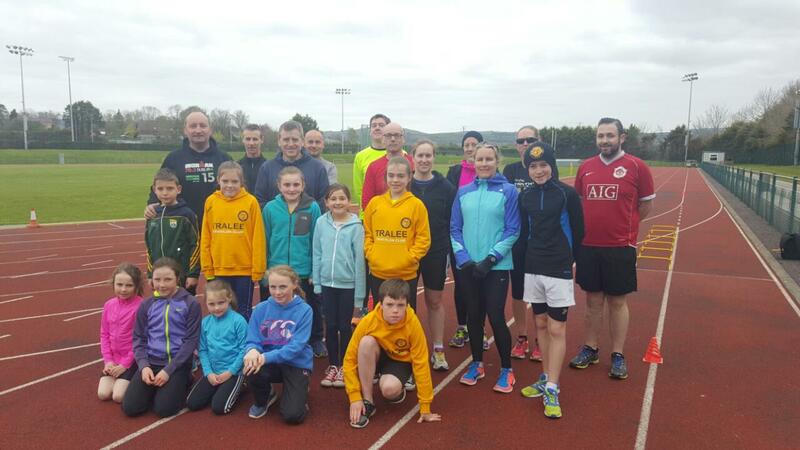 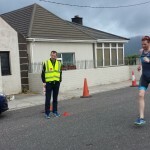 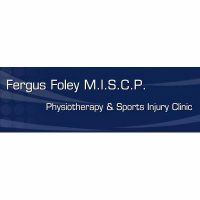 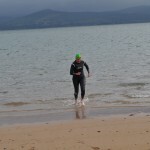 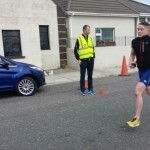 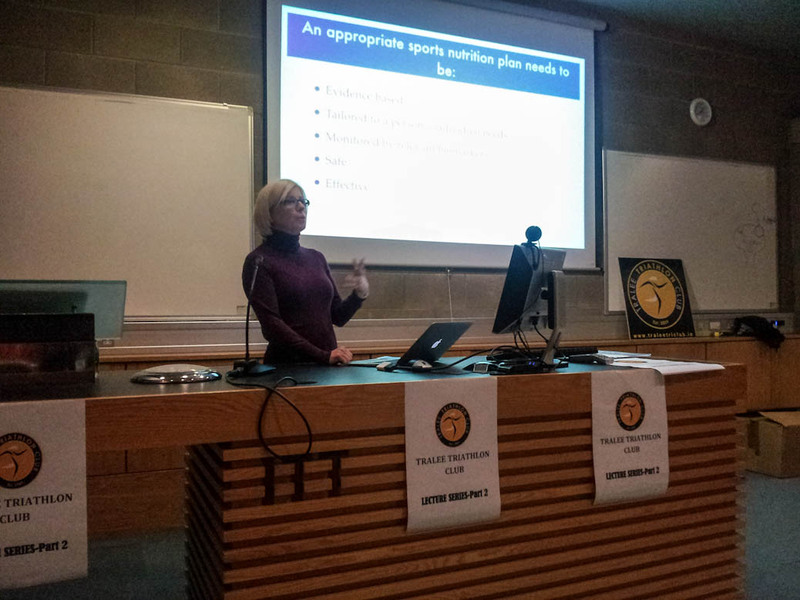 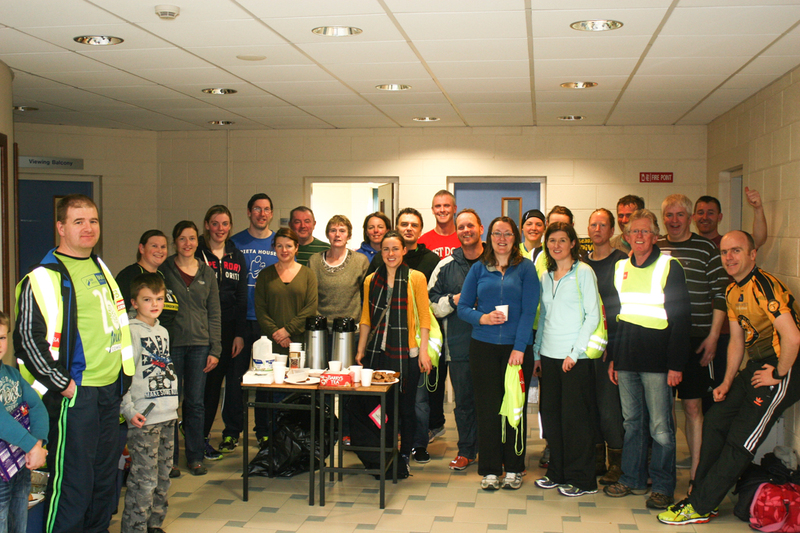 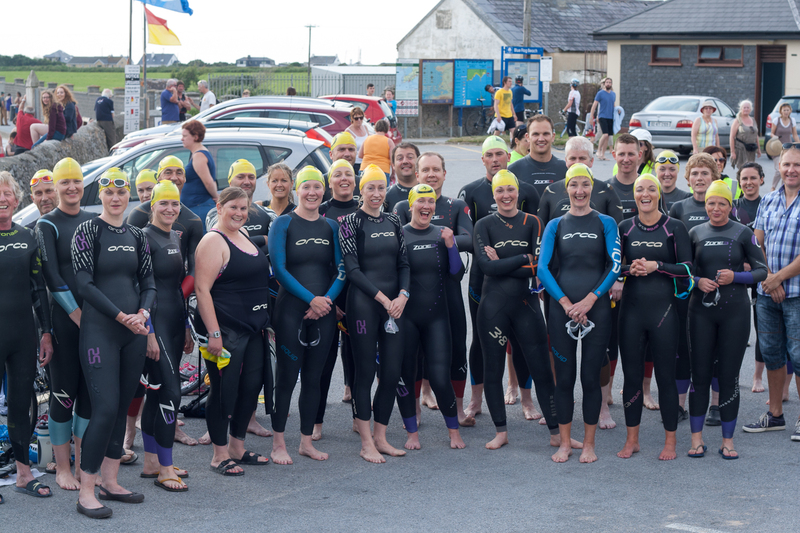 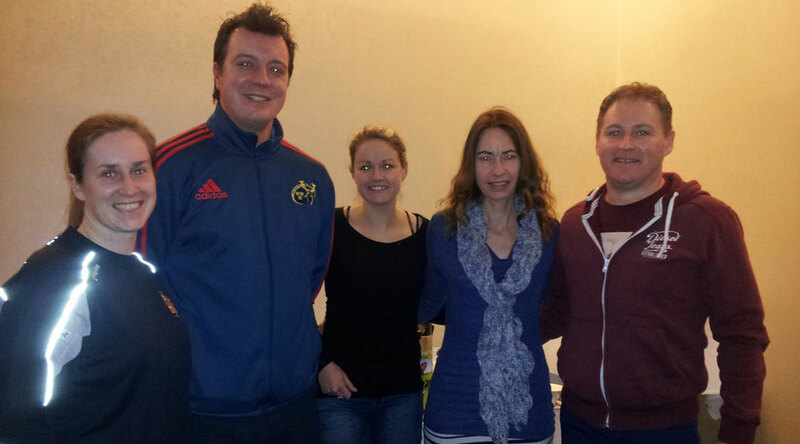 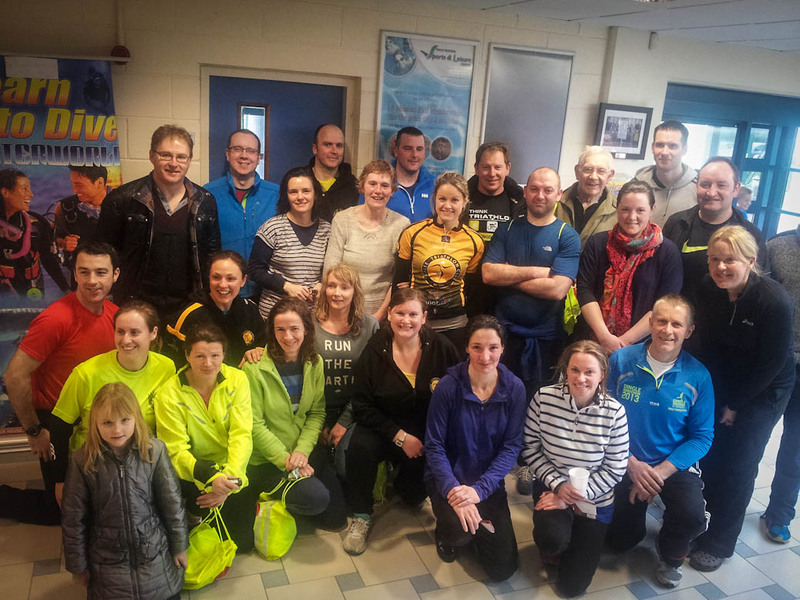 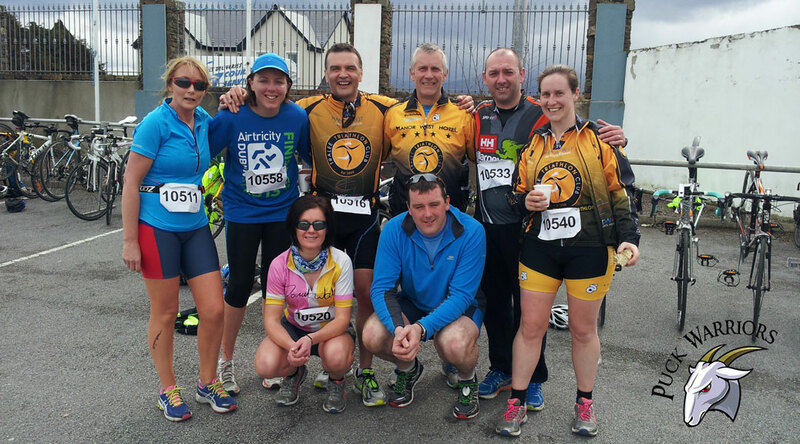 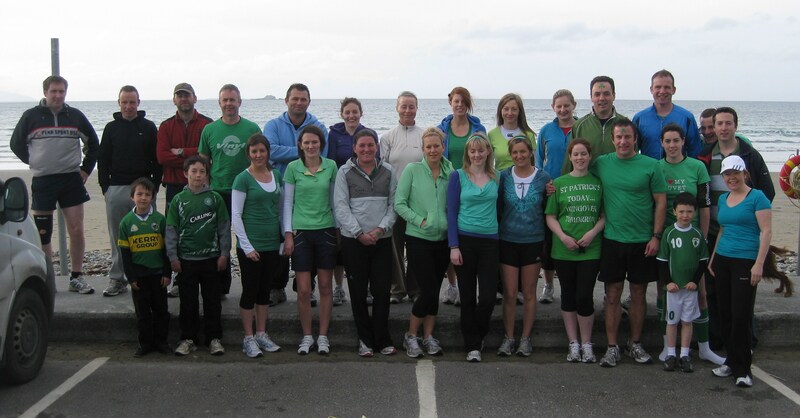 Key to the whole thing is the volunteers who ensured that the club can host these events and Bridget Moore, who only last week completed her first ever triathlon, stepped out to the plate with a band of volunteers to ensure the event went off smoothly. 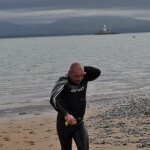 Thankfully the jellyfish, which have been rampant all week, decided to leave us alone and the swim with off well. 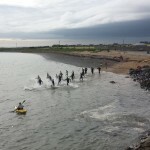 Some made it the first buoy no problem at all while the rest of the crew headed to third buoy amid the fear of jellyfish. 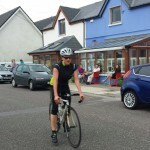 Then, it was on to the cycle to the Oyster Tavern, a lovely cycle on the way out but the headwind on the way back in was a battle, but its all a learning curve and of course will make us stronger. 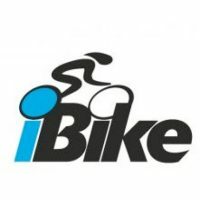 At least that’s what they say anyway. 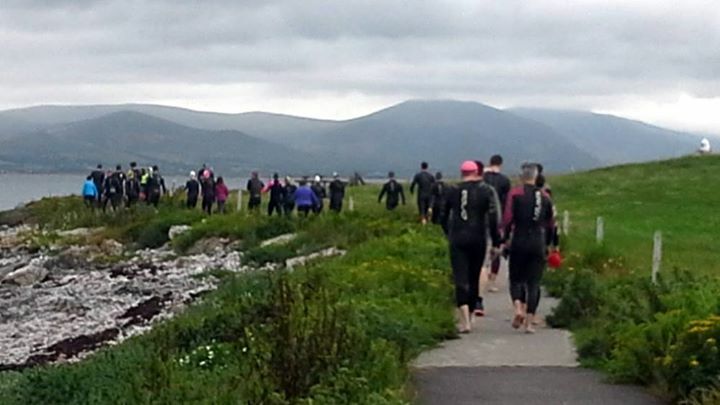 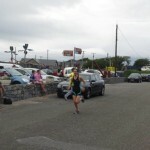 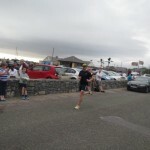 The final 3k run to the back beach saw some tired legs but everyone battle through to complete their triathlon. 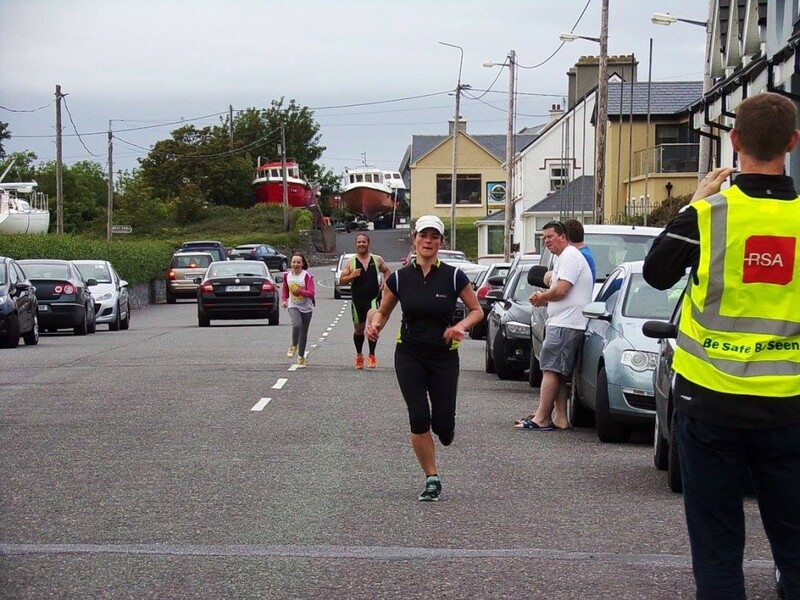 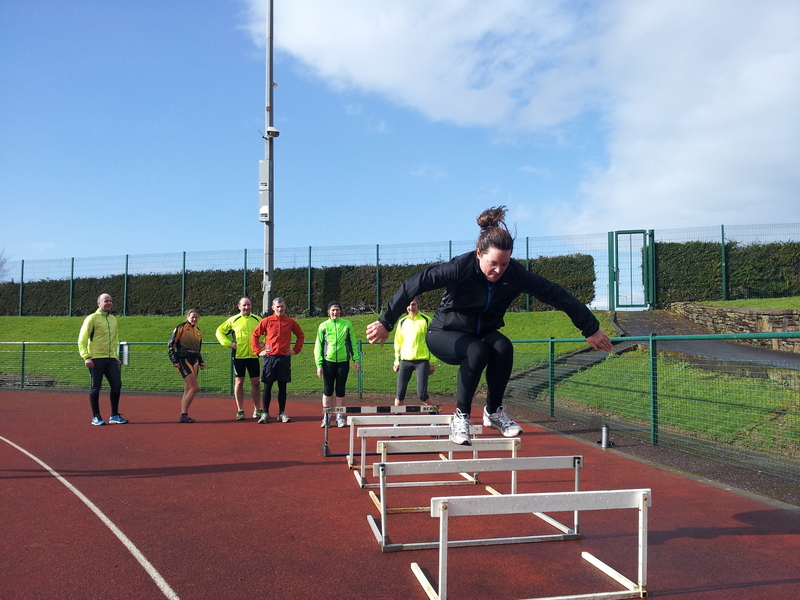 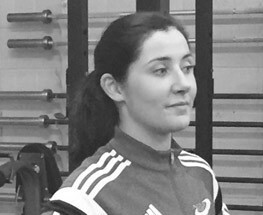 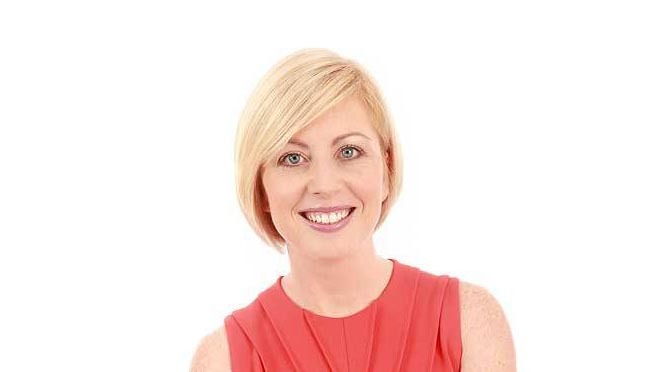 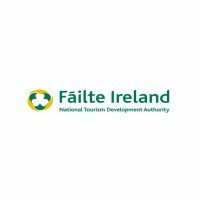 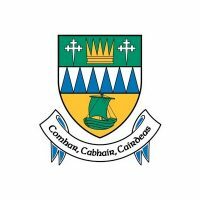 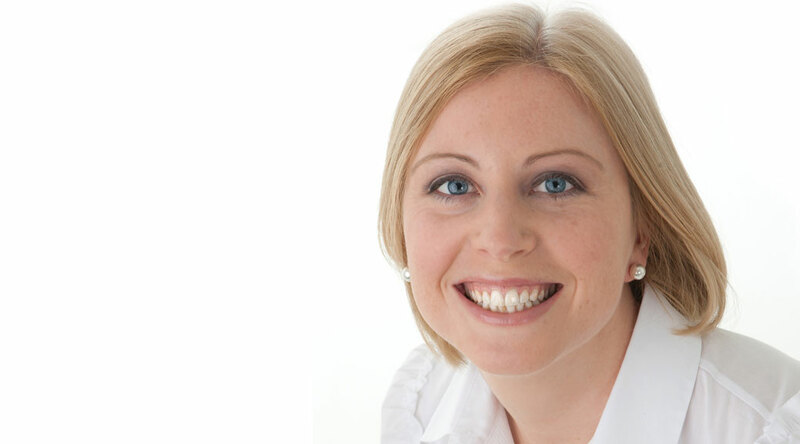 Congratulations to all those who did their first one – Catherine O’Neill Wharton was one of them and to others who improved on last week’s attempts. 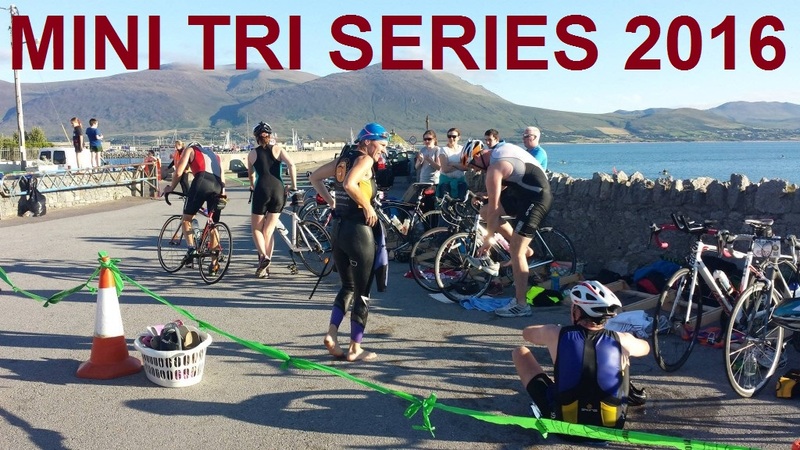 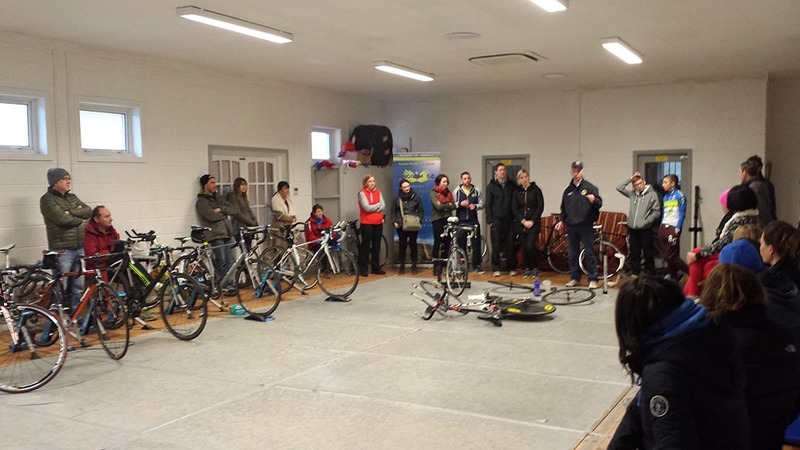 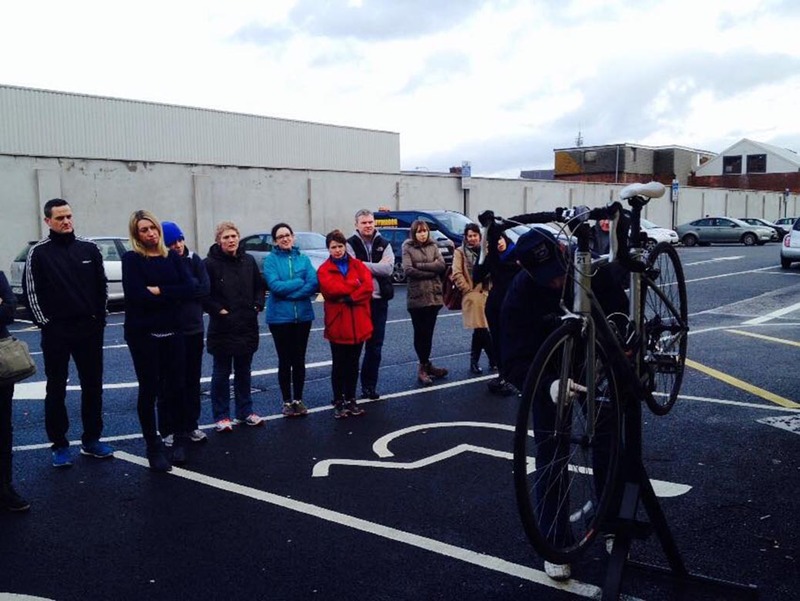 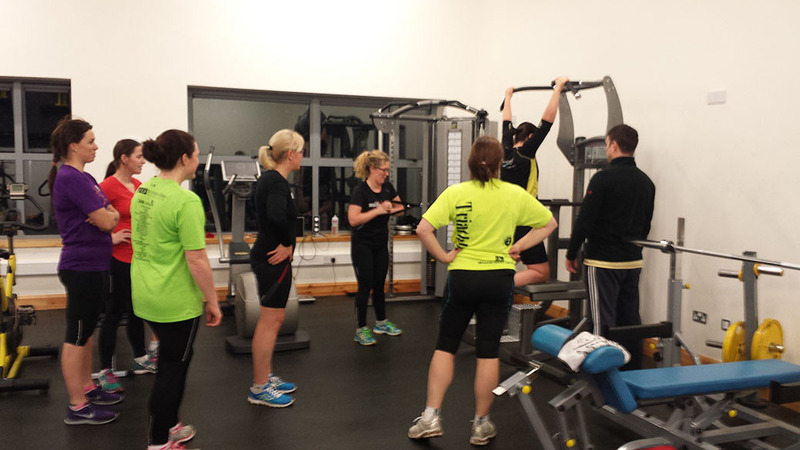 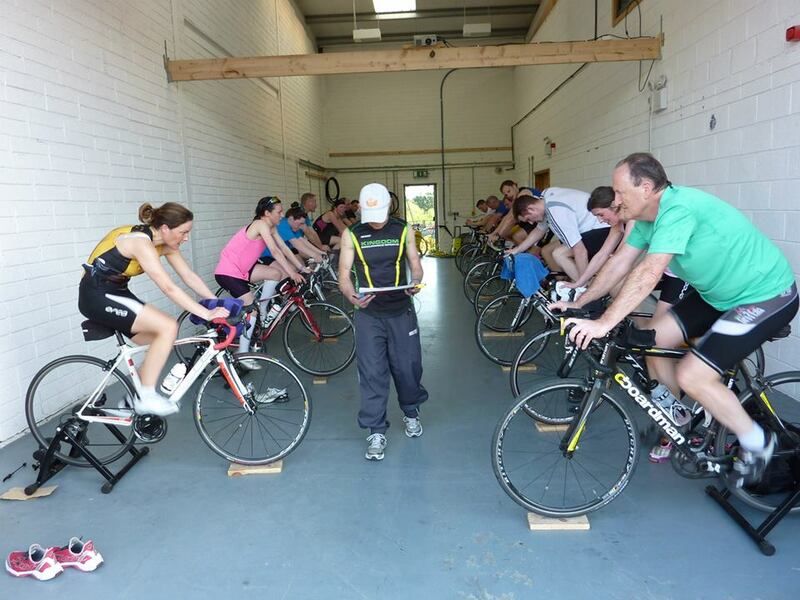 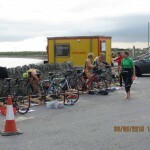 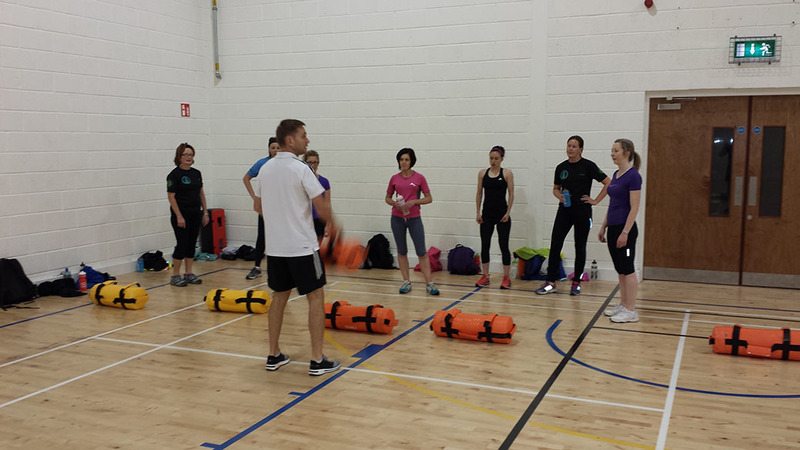 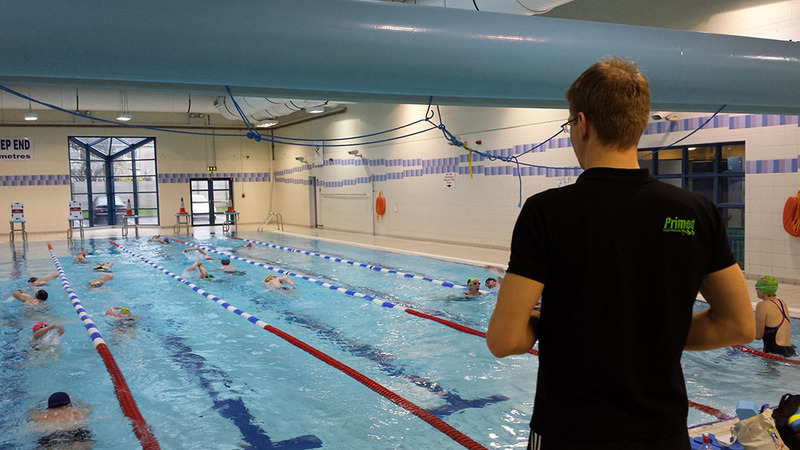 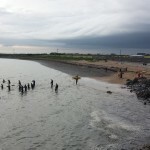 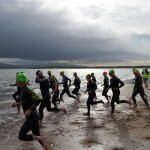 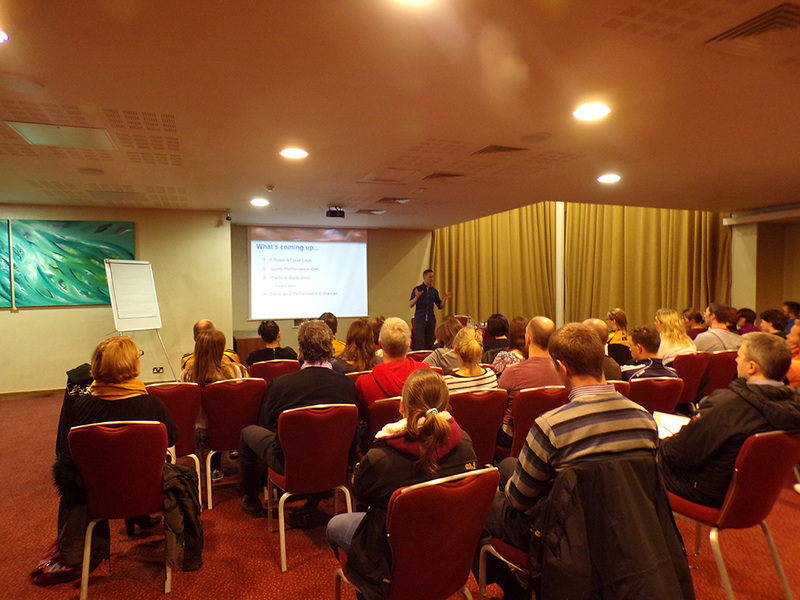 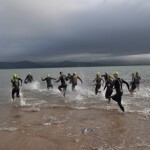 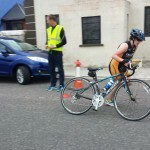 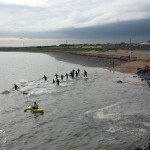 Tralee Triathlon club’s mini triathlon’s are about practising the three sports but also getting those transitions sorted. 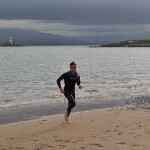 It takes time to take off that wetsuit and get ready for the bike and what better way to practise than in training. 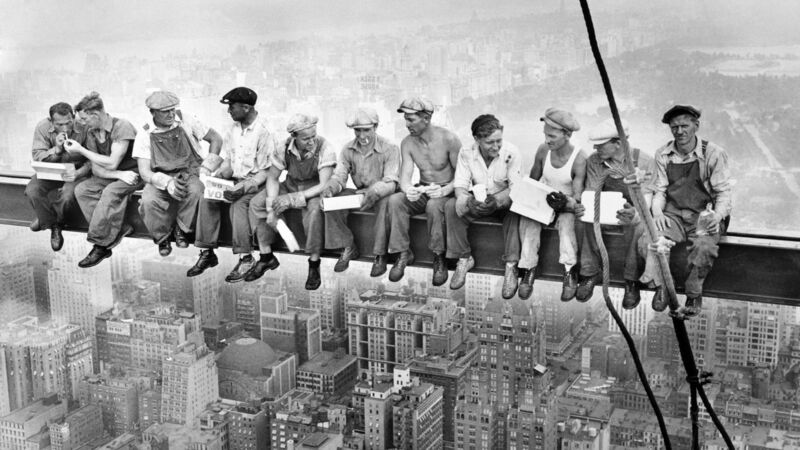 We’ll have it perfected yet. 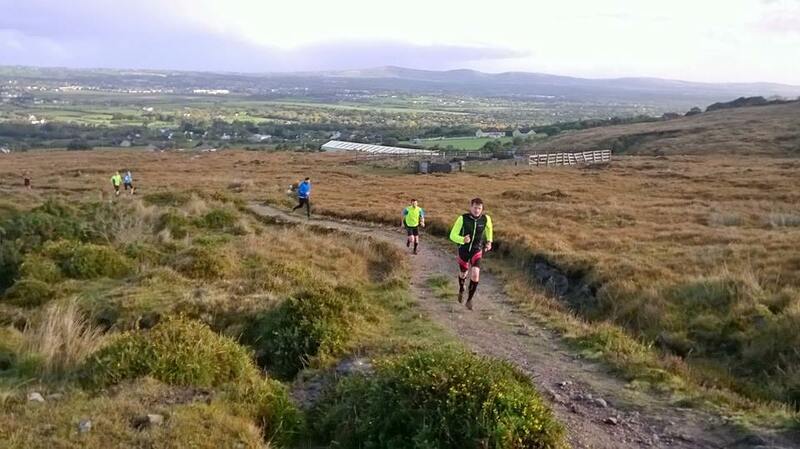 The final leg of course was pizza and chips in Mike’s, everyone’s favourite part if truth be told. 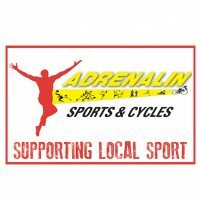 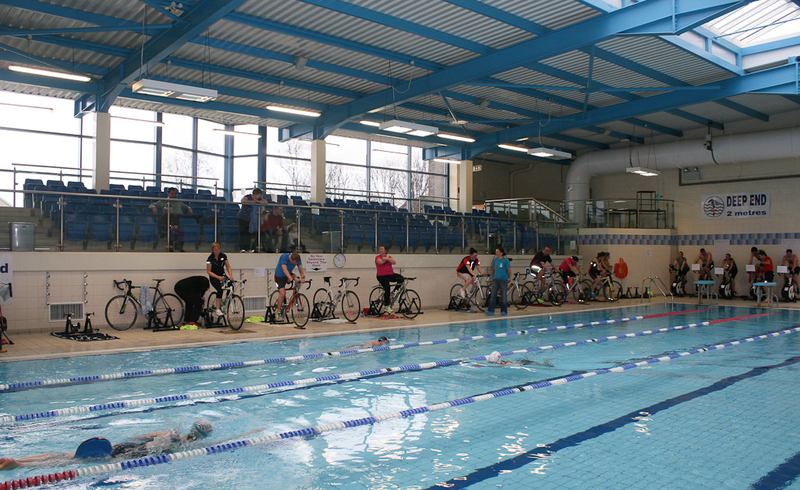 The club’s next event is the club Aquathon on Friday, July 10th, so bikes are left at home and instead there is two swims and a run. 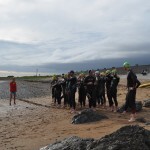 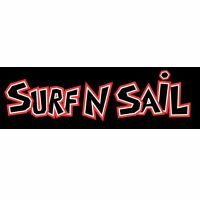 Beginners can just go to the first buoy or even the second, whatever they want. 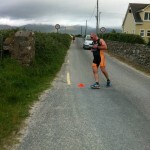 It is all about getting in there and doing it. 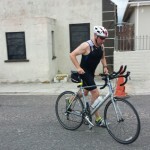 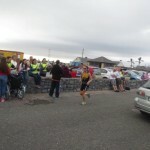 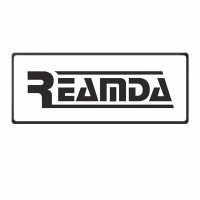 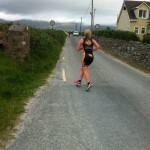 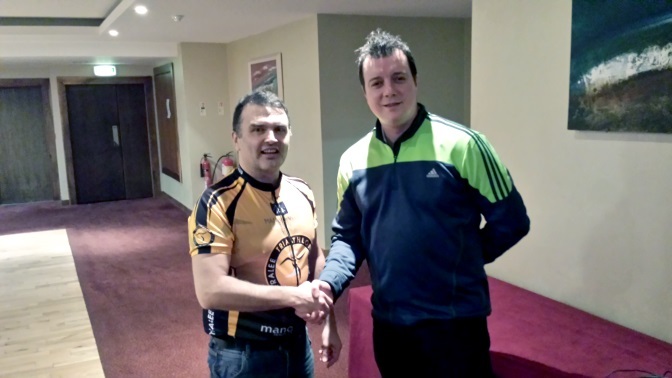 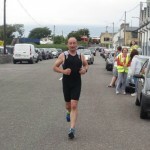 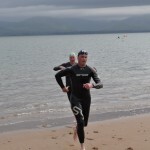 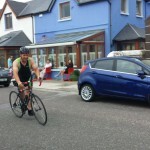 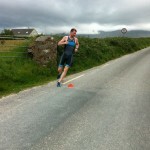 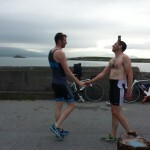 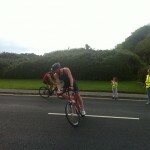 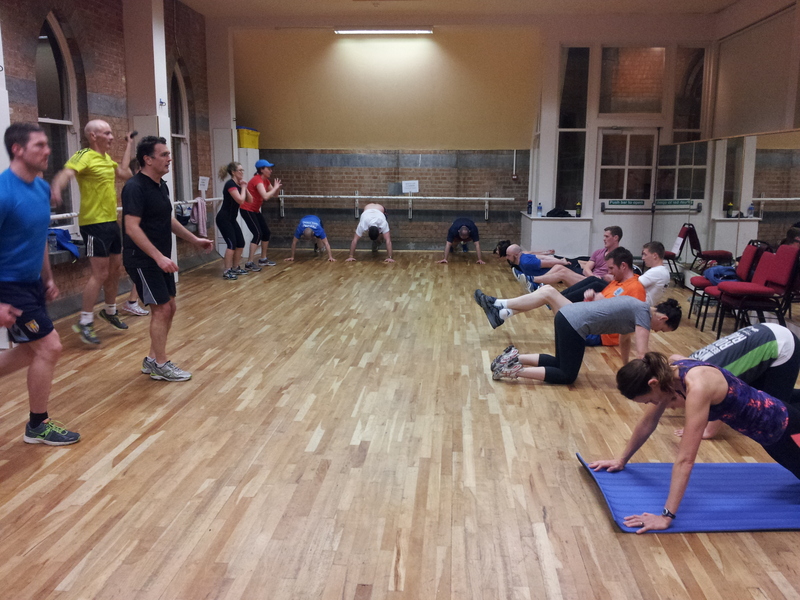 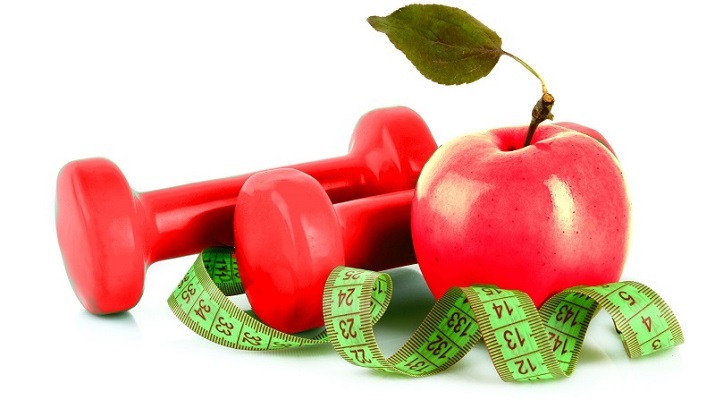 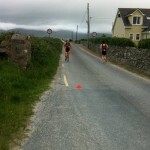 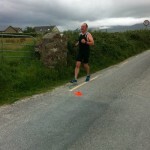 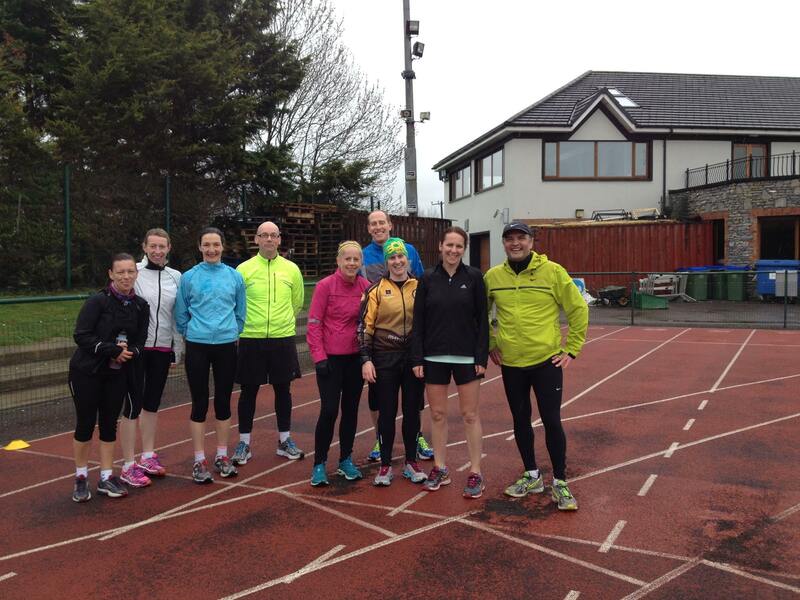 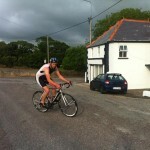 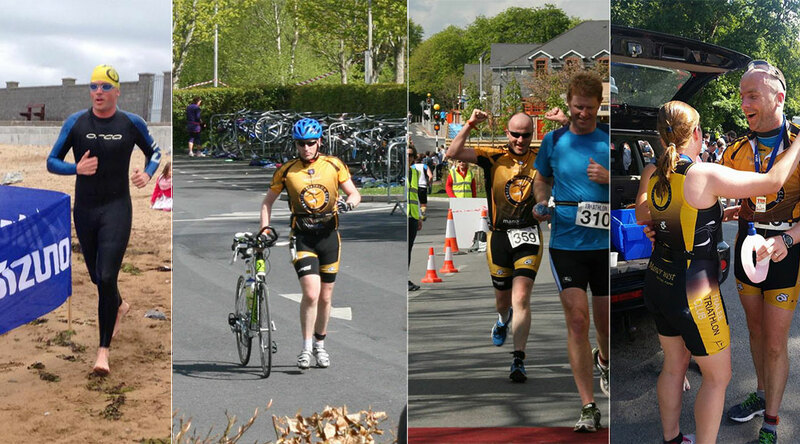 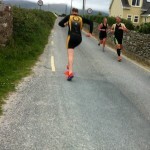 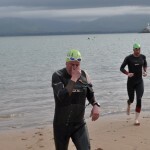 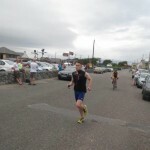 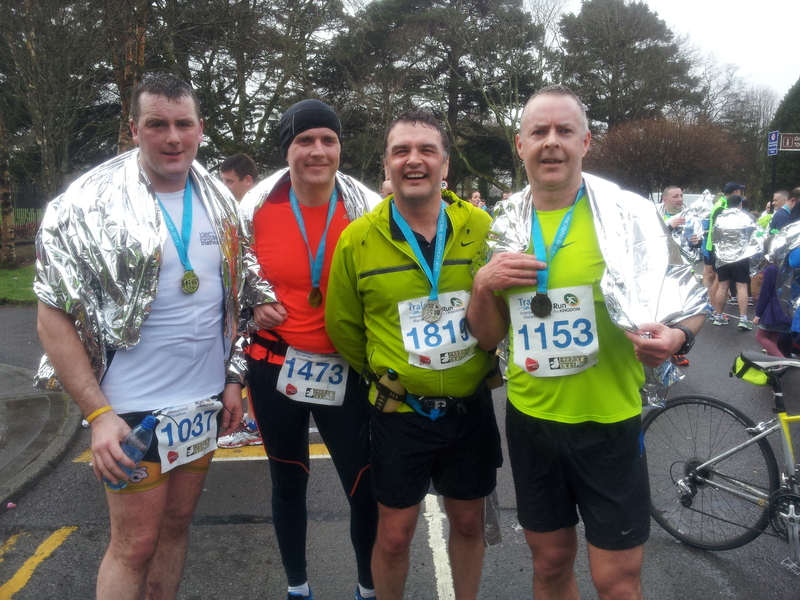 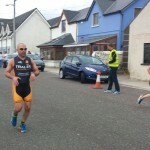 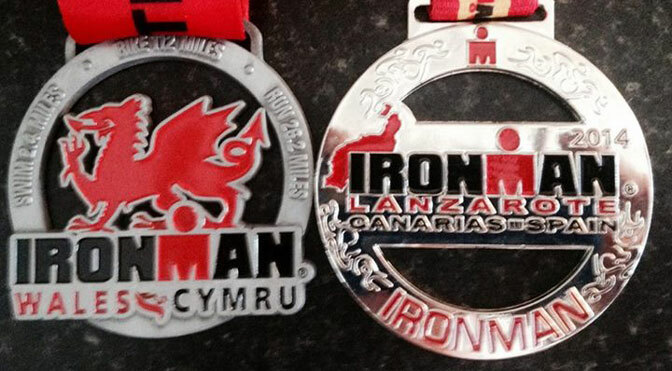 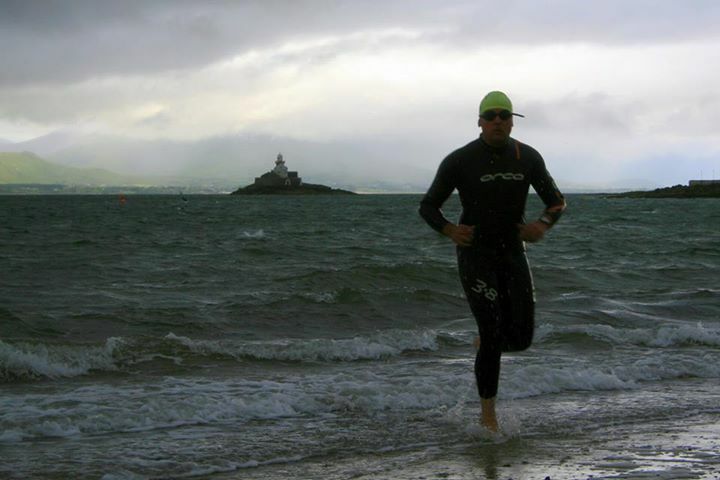 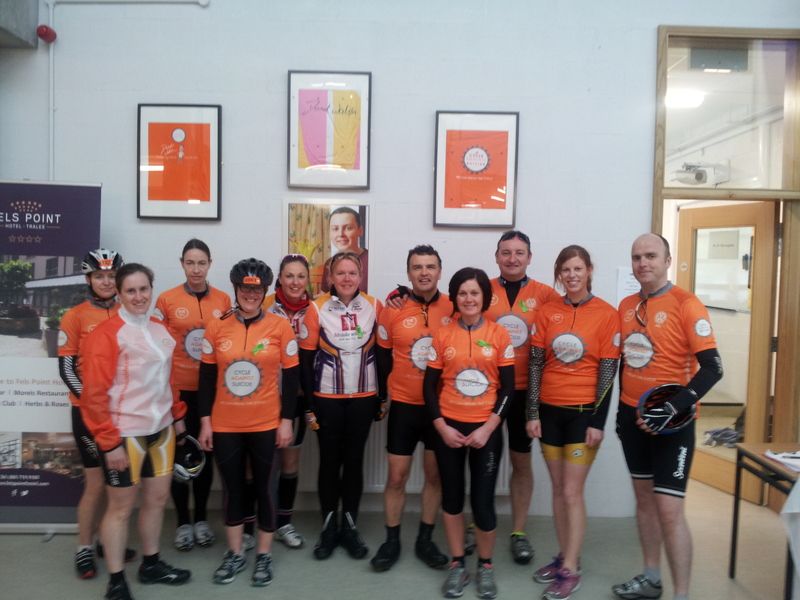 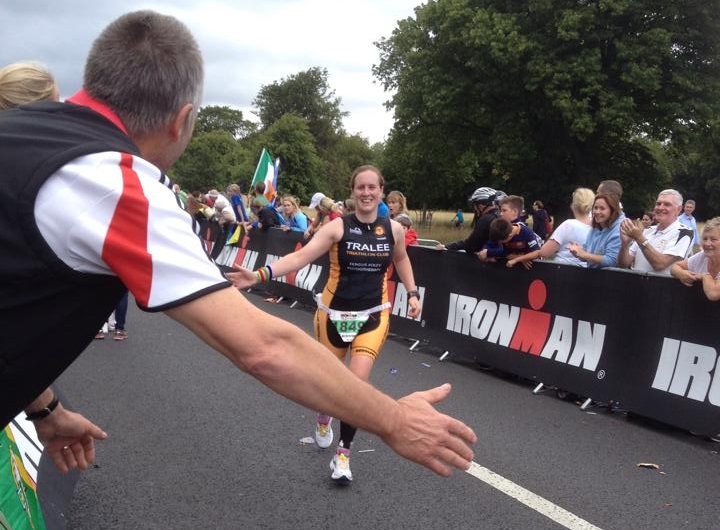 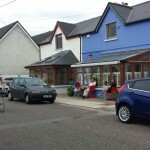 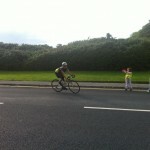 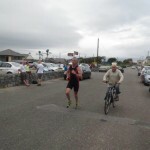 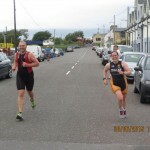 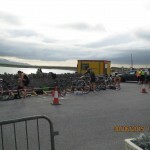 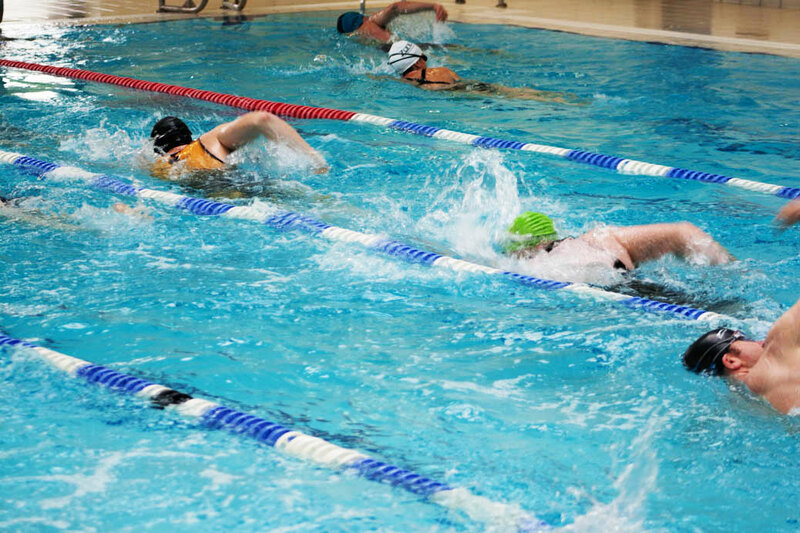 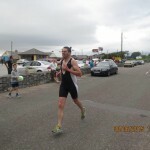 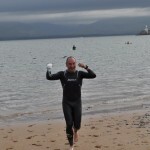 That’s after all what the club is about – trying a Triathlon.